Mother’s Day is just around the corner which means it’s time to start looking for a gift for the women who deserves to have it all. But how do you find the perfect gift for an important and perfect woman? Don’t worry because we at My Top Face are here to help.This Mother’s Day, instead of going with the typical card, a box of candies and bouquet of flowers gift routine, try getting her something that she will benefit from and actually use. 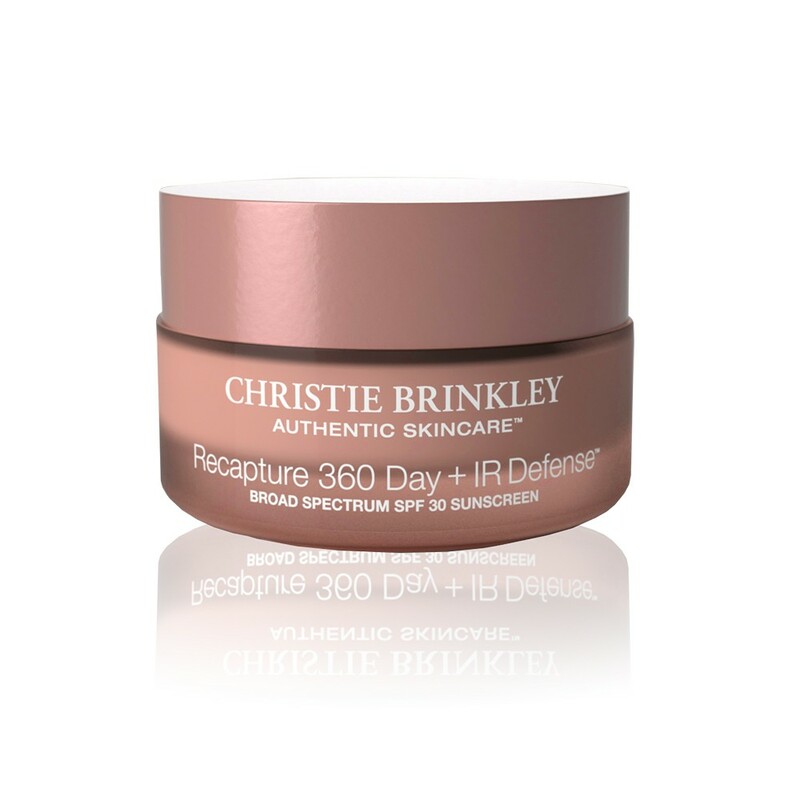 Show one of the most important women in your life just how much you really care for them by getting her products from Christie Brinkley’s anti-ageing skincare brand. 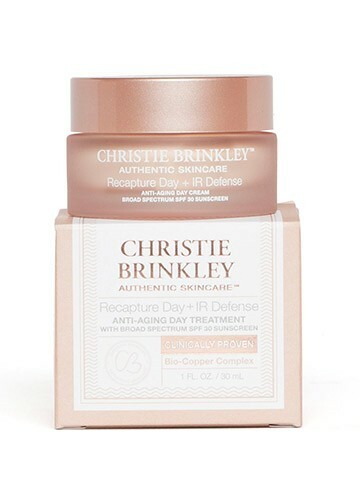 Three-time SI cover girl and 80’s supermodel, Christie Brinkley, has come out with a skincare brand that focuses on anti-aging products for women. At 61, the California beach babe has discovered the key ingredients to fight aging and has developed a skincare brand to share her age-defying secrets with everyone. Her award-winning anti-aging products claim to keep the skin looking younger and vibrant while helping to protect the skin for its future. The combination of her proprietary Bio-Copper Complex™ and full spectrum UVA/UVB and Infrared (IR) protection gives her products the ability to help rejuvenate and address aging skin problems, while also protecting the skin from the everyday effects of sun damage and environmental pollutants. This in return will leave your skin looking smoother, firmer, and more radiant, while also evening out and brightening your overall complexion. This luxurious anti-aging day cream has four key ingredients in it, Neodermyl™, Elix-IR™, Sytenol® A, and K Vita C, that will help boost your skin’s natural rejuvenation system in order to slow down the aging process to help take years off your overall complexion. This product claims to improve your skin’s firmness and elasticity, re-energize skin activity, reduce the appearance of fine lines and wrinkles, dark spots, and sagging skin, even and brighten your skin’s overall complexion, and reduce redness caused by sun damage. We at My Top Face believe that it’s never too early to introduce anti-aging products as a part of your daily skincare regime because we understand the long-term benefits that they will have on your skin and it’s future. We recommend that your skin is thoroughly clean before applying this product. This lightweight cream felt very smooth and silky on our skin. We felt that because the formula was so lightweight it absorbed into the skin quickly, which means you need to work quickly with the product to get a nice and even coat on your skin. It left our skin feeling moisturized and refreshed and didn’t leave our skin feeling sticky or over saturated like some anti-aging products can. We love the fact that it has SPF in it, an important ingredient that many of us tend to forget about, skip, or totally leave out of our skincare regime, without having that SPF smell to it, or that thick greasy residue that the badly formulated ones leave on the skin. If you’re worried about the SPF causing flashback in pictures, don’t. We used this product under our makeup and took pictures with flash and didn’t have any problems whatsoever. We suggest keeping this product in the refrigerator to cool and calm your skin, while also reducing puffiness. MTF Hack- We suggest using this day cream right before applying makeup. 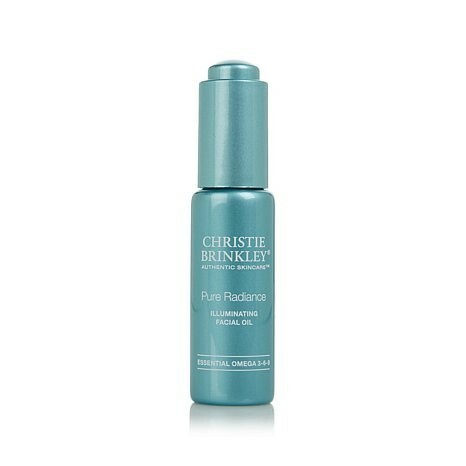 The creams ability to reduce redness, fine lines, and wrinkles, improve the firmness of the skin, and even out and brighten your skin’s overall compaction make it a great base for easy and flawless makeup application. This Illumination Facial Oil is scientifically formulated with a high-quality blend of the restorative power of bio-mimetic omega oils. This product claims to replenish the loss of moisture and resilience in your skin, support your skin’s natural lipid barrier, target dark spots and reduce signs of photo aging, and improve your skin’s overall brightness and natural radiance. When it comes to facial oils in the past, we at MyTopFace have become divided on whether or not we like them. To us, they are either your best friend or your worst enemy, either leaving your skin silky, soft and smooth, or greasy and shiny while decreasing the longevity of your makeup. However, this facial oil was different for us. We seemed to all finally agree in our enjoyment of this product. The lightweight blend of oils absorbs quickly and didn’t leave our skin feeling greasy or looking shiny, but rather feeling soft and supple. The easy to use dropper dispenser picks up and releases the perfect amount of product, making application almost second nature. After the oil fully absorbed into our skin we instantly noticed the brightening and illuminating effects that the product claimed to have. Another important thing to mention about this product is that it is incorporated with a unique blend of antioxidants with the purpose of fighting the damaging effects that sun damage and environmental pollutants have on your skin. It will probably take us a few more uses before we witness its dark spot and discoloration diminishing benefits, but totally believe in the effectiveness this product will have on our skin. 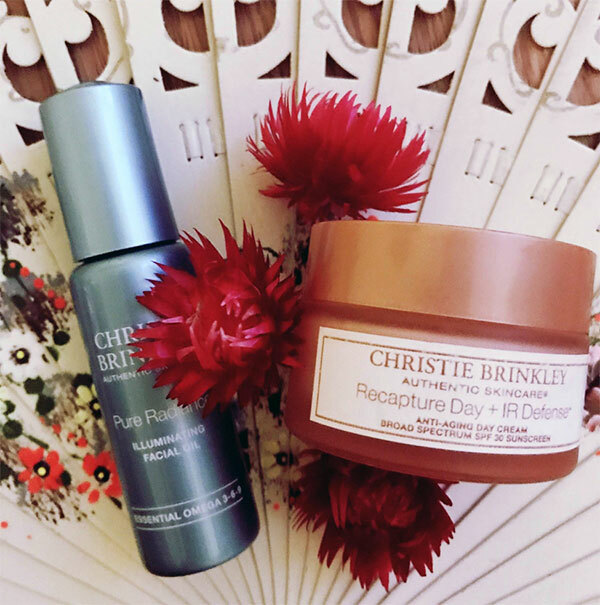 We enjoyed using these two products in conjunction with each other very much, and even though the Christie Brinkley skincare line is catered to and formulated for maturing skin, we don’t see that as a reason for everyone, no matter how old you are, to not be able to use it. We love that whether you have very dry, tight skin, combination, or acne-prone oily skin her products can be used on all skin types because they are non-irritating and allergy tested. All of the products in her line are environment-friendly, vegan, and fair trade, and come in glass containers that can be recycled and broken back down into the sand. We can’t wait to continue using the facial oil and day cream as a part of our skincare regime and look forward to trying out more products for her in the future.